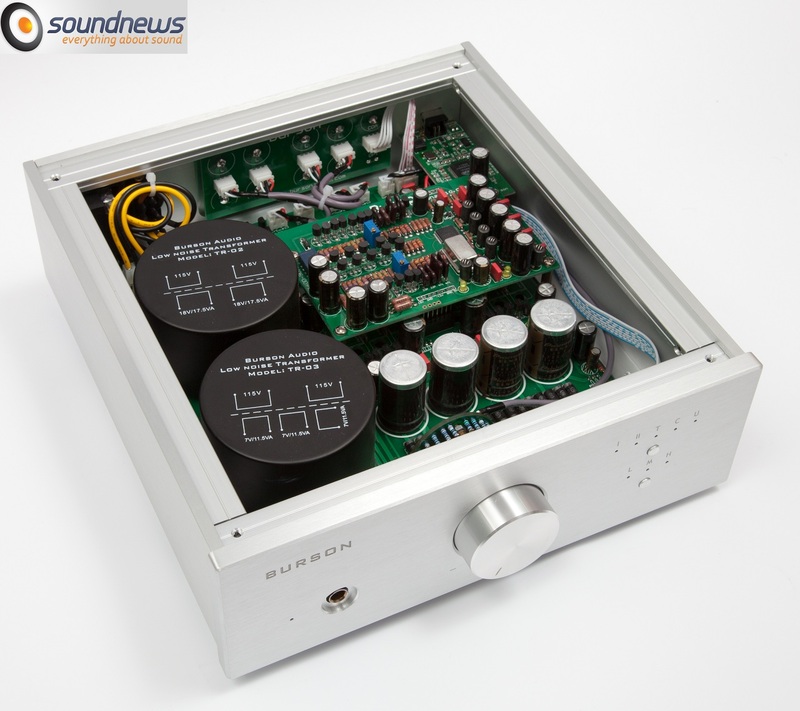 Aussies from Burson Audio have delighted us this year with a new product line – Musicians Series, after the successful launch of the new Soloist (successor of HA-160) it was only a matter of time until they refreshed the rest of the line. 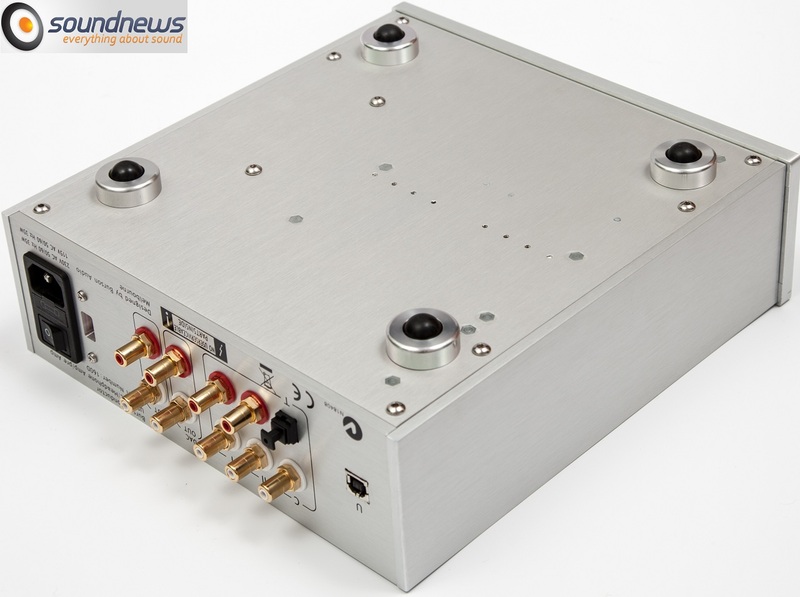 When I asked if they planed to release an updated HA-160D with new amplification modules from Soloist and maybe a different DAC, they responded with a single smile, which confirmed that a new project was developing for some time. The wait is over, I present to you the new Burson Conductor. The base used was 160D, but the product has reached version 2.0, where everything has been changed and updated with new components, in a case of the same size. The case is the same thickness and size as that of 160D, 6 mm thick and about 6 kg weight. This time the spikes are entirely made of metal and the ending tips are made of semi-sphere rubber for vibration absorbing, giving them a nicer and more professional look. 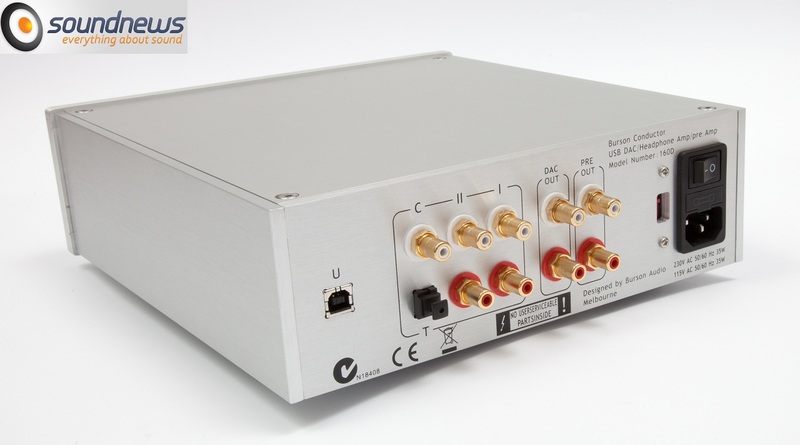 Another digital input has been added on the back: the optical (TOSLINK); coaxial input, USB and two RCA analog inputs are also present. Outputs have been changed also. Besides preamp output, a pure DAC output has now been added, which unfortunately lacked in the 160D. 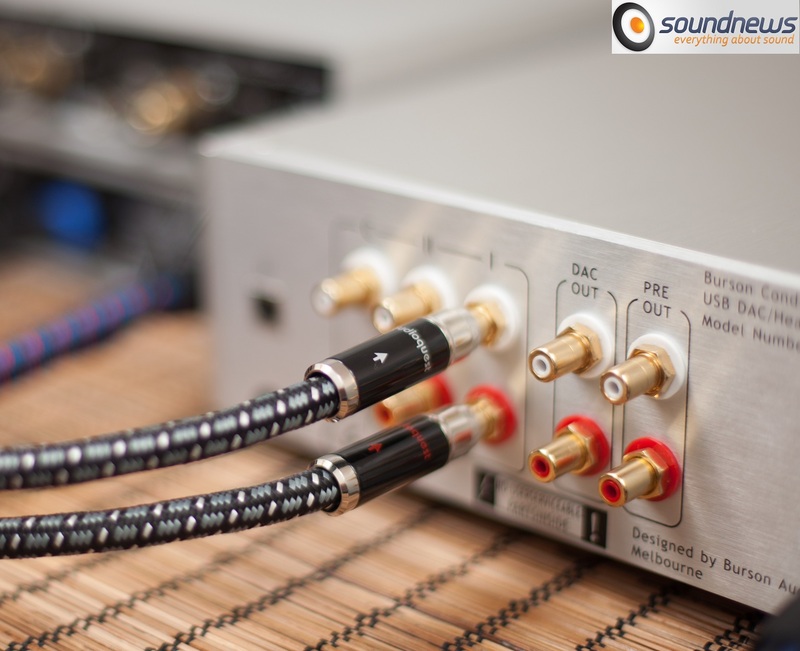 160D cannot be used as a pure DAC, as the output on the back was DAC+ preamp in the same time, therefore a little distortion was added caused by the preamp and it wasn’t a no compromise solution. 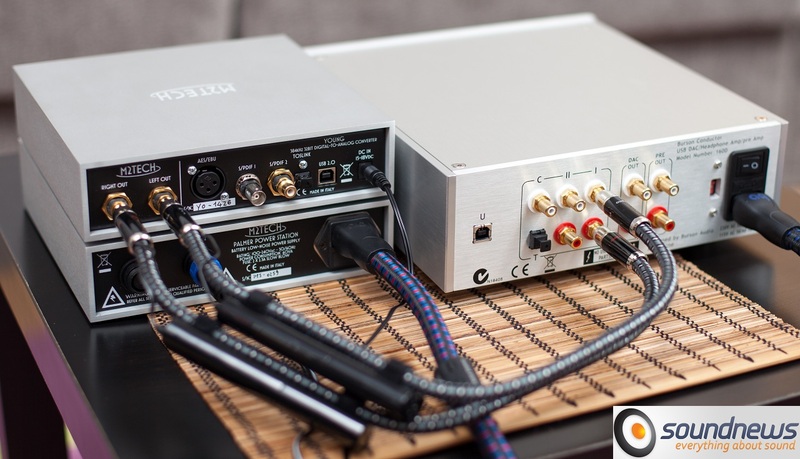 Conductor can be called a high performance 3 in 1 device, with complex features, because it can be used as a headphone amplifier, a DAC, a preamplifier, or any of these functions combined. I tried to test it in every way possible and the results were impressive. I did audition on both speakers and headphones and because I wanted to squeeze the most out of it, I listened to a wide range of music. Before more rigorous testing I left the unit on for about 60 hours for the sound to mature. 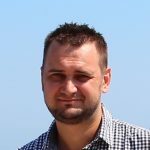 Zdob si Zdub – Basta Mafia! 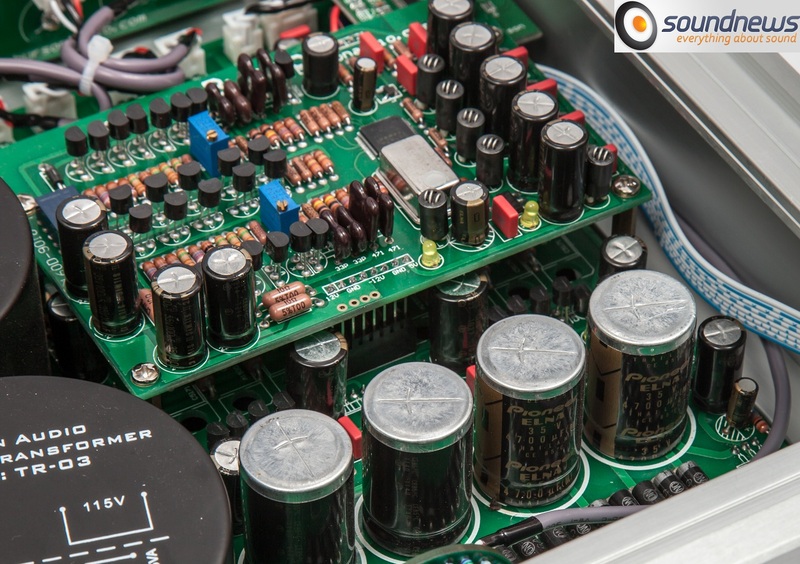 As it can be seen in the picture, the DAC chip that was chosen this time is ESS Sabre32 ES9018, the flagship of the American company, which is capable of 133 db SNR in stereo configuration and has -120 dB of THD. Of course these numbers mean nothing without a good implementation, therefore it took more than 12 months to find a sound more to Bursons’ taste. Thus only 2 out of the 8 available channels were used, as, according to them, the sound is more natural and less tiring this way. The DAC output stage is implemented using the new discrete FETs specifically designed for this DAC chip. I would like to draw attention on the USB connection, which this time was 100% designed to work in asynchronous mode. For proper operation of this DAC, the USB driver must be downloaded from the official Burson website. Once installed, a dedicated program must be launched, where buffer size and bits per sample ( 16 or 24 bit) can be chosen . It also shows the ASIO driver status. 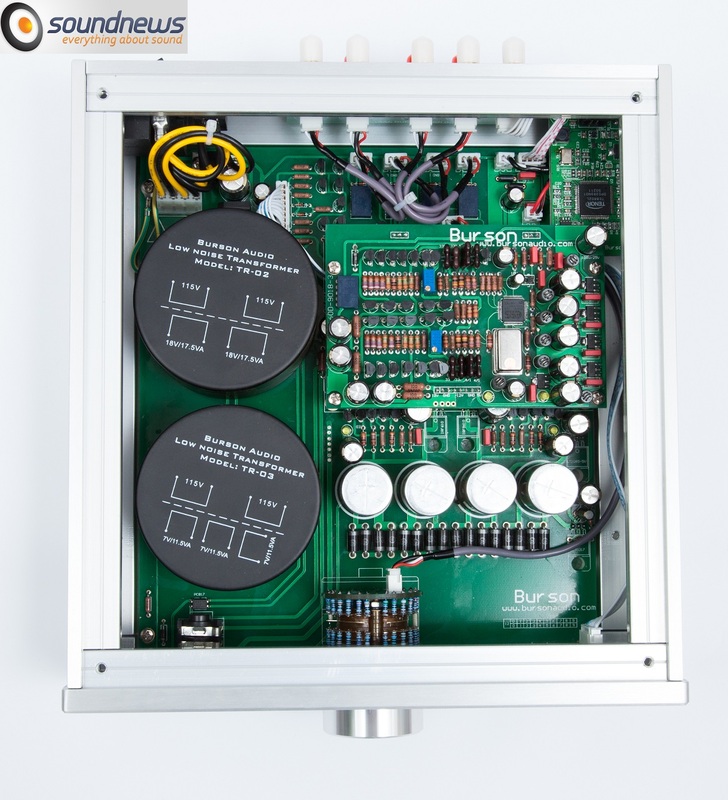 In the software player (in my case foobar2000) I chose Burson Audio USB DAC Async ASIO. For a more detailed review we compared Conductor with the 160D, a M2Tech Young + Palmer battery supply. To test the quality of USB input I borrowed a M2Tech HiFace EVO + EVO battery supply. Whie testing the USB input against M2tech EVO connected to the coaxial input, I was convinced once again that the USB input of the Conductor has been designed with great care. I tried to distinguish a difference, but I have found none by now, both sounding just as good. The sound is focused and extended in both directions. The deep bass, non aggressive treble, extreme resolution and all micro-details were heard both on USB and on HiFace EVO+coax. After I reported my findings to the Australian manufacturer, they were kind enough to explain to me that this time the USB input uses a Tenor TE8802 receiver that is working asynchronously and that the whole USB module is powered by a separate discrete power supply, being more stable than some of the renowned receivers. Congratulations on the successful implementation! Knowing that the M2Tech Young DAC uses at the USB input a HiFace EVO inside, I jumped immediately to compare the two DACs on their own USB inputs. For a comparison as objective as possible, I used the Palmer battery supply for Young DAC, Audioquest Niagara interconnect and 2 Audioquest NRG-4 power cables. To my amazement, both DACs sounded almost identical, though there were some differences – I will try to enumerate them briefly. On the music of Bozio Levin Stevens and Apocalyptica, the Conductor had a wider soundstage and a larger scale, the sounds felt like coming from several directions, at the same time frequency extremes being more extended. Bass had Young’s texture, but had a longer reverb. I had the impression that the Conductor has a better sub-bass and Young’s mid-bass is more prominent. Overall Young sounded somewhat rounder, more concise and slightly easier on the ear, while the Conductor was more detailed and linear, sounds flew away and the room was filled more, the sound becoming slightly more 3D. Due to the wider stage on the Conductor, the Australian DAC lost a little ground in stereo image rendering, all instruments were clearly heard, but the sound came out of nowhere, while on the Young it was a little clearer where the sounds are coming from. In conclusion I liked both DACs, as they were very close. Without a critical listening I wouldn’t notice these differences. It took me two days of listening to distinguish the differences between them. 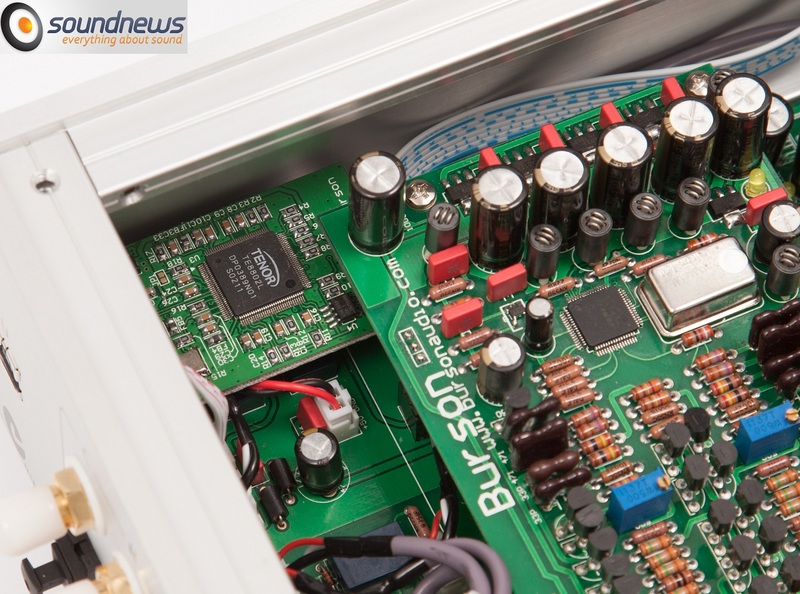 I am very glad to see that the Burson Conductor equals the performance of the Italian DAC. Until now Young powered by Palmer was the reference DAC I liked the most (letting aside Chord QBD76 HD, which is completely in a different price level- more money, but whole different league) and Conductor in some cases surpassed it, in some equaled it and in some it was a little weaker. It is clear that the Conductor is slightly more accurate and more detailed, and Young is a bit more melodious, having mid-bass and mids a little more forward. Next on the list was the brother HA-160D, and I think here was where I noticed the most differences. On the music of Ana Caram and Leonard Cohen, I heard a broader stage on the Conductor, I even heard some new hidden microdetails that on 160D were easily masked. Much darker background of the new DAC made me hear new details, sound again became more 3D, wider in height but also in length, and at the same time a little more linear and neutral. On 160D all microdetails cannot be heard, frequencies in the 16 – 18 KHz range sometimes are not heard, and this makes it a little more fluid and nonaggressive, but more closed in, the sound is more central and more intimate, though smaller and unfocused. Comparisons aside, I want to speak more on the Conductors performance. For the start, Conductor is extremely resolving. No doubt, once I used high-resolution files I was amazed by the level of information, texture and refinement thrown to the listener. Since it clocked 60 hours of burn-in, I felt a more mature sound, treble became more gentle, more liquid, and overall sound became more open, more natural and alive. The device has a sonic signature neither cold nor very hot and I would assign the following adjectives to it: neutral, real, full and vivid. I’m glad that the house sound of the Australian manufacturer did not disappear, and abandoned the sterile and cold sound of the competitors. I can say that once the sounds come on and fly in different directions, all music becomes more ample, radiant and deeper. In crowded passages it is easier to focus on preferred instruments, they do not collapse over one another and so focusing on any micro sound becomes a breeze. Between all 3 DACs tested, Conductor was most extended on the extreme frequencies, having more information in the sub-bass and extreme treble region, while having little more empty space and more air between instruments. 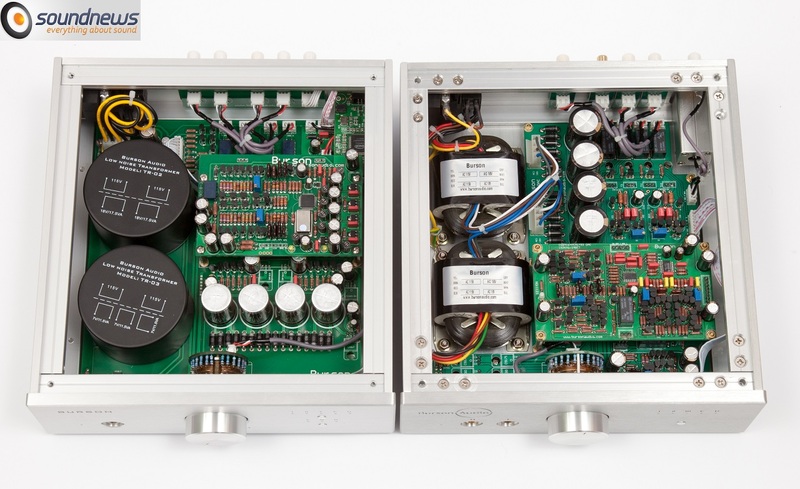 On LCD-2 and HD800 headphones I felt a superior control on the Conductor, because it borrows the headphone amplifier modules from Soloist, thus the sound is very airy, lively, rich and full bodied. For more information as how it acts as a headphone amplifier, please see the article devoted to Soloist, because both Conductor and Soloist uses the same headphone amplification modules. On music of Nik Bartsch’s Ronin and on Kraftwerk, bass fell to the lowest octaves, having great impact, precision and punch. 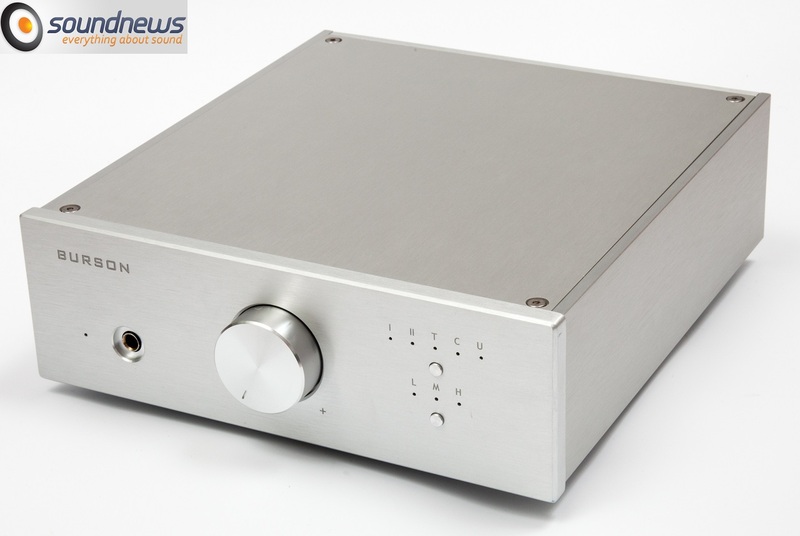 Well defined bass makes this DAC go well on electronic music or any more rhythmical music. The sound is never outdated and behind, timing is correct and accurate. As a little comparison, 160D has a bass like a single note, the Conductor seemed like having a longer reverb. Due to this effect I think the 160D hits a little bit harder, instead Conductor has a more accurate and true bass, it descends below, but it doesn’t sound like a single note, it feels more bass levels. Beautiful voice of Leonard Cohen and of singer Ana Caram are presented in a delicious and natural way, never being dry or thin sounding. As I said, the Conductor has a house sound of Burson Audio and it didn’t lose its tone, voices sounds real and tangible. Centered voices were thrown a little further back on the Conductor, on the 160D voices are more forward, like whispering in my ear. Live Concerts sounds airier on Conductor and more intimate and smaller on the 160D. On high frequencies I heard the smallest hidden nuances, length of the reverb on strings is played with precision, as if the sound is well ventilated, and capture of any flying sound is easily done. On rock songs where more drums and cymbals are used it was easy to focus on every hit. Drums test from Usher (Usher – Drum Test) is a good example. Conductor played cymbals very well and in a natural way, drums keeping up with the speed. It gets top marks on this test, speed and punch is Conductors middle name. I can say that I was impressed by the new creation of the Burson team, they have raised the bar once again, as Conductor remains a top class 3 in 1 solution. Industrial minimalist design is also a plus, as it can be integrated into any decor or small spaces. At first glance the price seems a bit high, but after testing and listening to it I can say that it is worth absolutely every penny, because the satisfaction received is tenfold. Burson Conductor, Burson HA-160D, M2Tech Young + Palmer battery supply, HiFace EVO + EVO battery supply, Abrahamsen A-DAC II, Dynaudio Focus 160, Creek Destiny 2, Sennheiser HD800, Audeze LCD-2, Audioquest NRG-4 power cables and Audioquest Niagara interconnects.